Your Natural Cold & Flu Prescription! When it comes to fighting colds and flu, nothing has a more soothing and protective effect than a hot lemon, honey and ginger drink. Add the therapeutic, healing power of Vitamins C & D, along with immune-boosting zinc, elderberry, lemon balm, and Echinacea root. Now you have Citrus Soother – a safe (no Acetamonipohen), delicious, instant natural cold and flu remedy formulated by Holistic Pharmacist RoseMarie Pierce, BSc.Pharm. Recommended for people of all ages. Tested gluten-free. Does not contain soy, dairy, egg, corn, artificial colours, sweeteners or preservatives. From Egyptian pharaohs to Queen Bees, everyone loves honey! It’s not only sweet and yummy; honey contains anti-inflammatory and antibacterial agents that are effective against bacterial strains including those that have become resistant to synthetic antibiotics. Even the world-famous Mayo Clinic believes in the power of honey, calling it a “time-honoured way to soothe a sore, irritated throat; an effective cough suppressant... to reduce night-time coughing and improve sleep. As one of the most popular members of the citrus family, lemons have been revered in many traditional cultures as a medicinal tonic imbued with wonderful, alkalizing healing powers. Lemons are naturally high in vitamin C, citrus bioflavonoids and potassium. Lemon juice is not only a powerful antioxidant; it is also recognized for its antiseptic and antibacterial properties. Its excellent cleansing action supports lemon’s traditional use in battling colds, flu, fevers and infections that develop in the chest. Lemon juice’s anti-inflammatory qualities soothe sore throats and irritated membranes. This lovely cone-shaped, purple flower is one of the all-time most studied herbal medicines. Citrus Soother contains a 10:1 standardized extract of Echinacea purpurea root. As one of the most scientifically documented antiviral remedies, Echinacea works best when taken frequently at the first sign of infection. Studies have shown it reduces the severity and duration of cold symptoms while speeding recovery. Ask any European about elderberry and they will probably begin to regale you with a wide range of enchanting stories about the power of this beautiful berry. European black elderberry (Sambucus nigra) juice extract is known to disarm viruses & prevent them from invading healthy cells. Most recently, the effectiveness of elderberry to prevent colds and flu is on the radar. Scientists postulate that flavonoid antioxidants in elderberry extract stimulate the immune system while anthocyanidins, another kind of antioxidant, have anti-inflammatory effects that keep aches, pains, and fever in check. analgesic (pain-relieving), anti-tussive (cough suppressive), and antipyretic (fever-reducing) properties. Phytomedicine concluded that lemon balm has antiviral effect on herpes (cold sores). Fighting colds is only one of the great things about lemon balm. Soothing anxiety and promoting a calming sleep is the more traditional use for this lovely mint-like plant that tastes just like lemon. Recent research into the benefits of Vitamin D, the “sunshine vitamin”, has proven it to be the single most important daily supplement required by people of all ages. 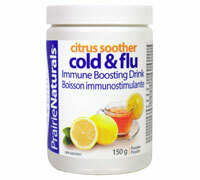 The synergistic effect when combined with Vitamin C and zinc ensures greater natural resistance to colds and flu.